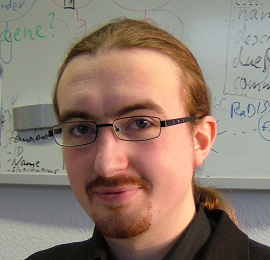 My name is Martin Klinke and I am a lead engineer in software development at Xavo AG in Germany. I have been developing distributed applications in Java and .NET since 2002. I have finished my Bachelor’s degree in March 2009 at the Universität Bayreuth. In October 2009, I have started distance learning for a Master’s degree (Master of Computer Science, M.C.Sc.) at Fernuniversität Hagen to extend my horizon and to build a more complete theoretical background. The opinions expressed in this blog are mine and do not necessarily reflect the opinions of my employer. I am not responsible for the content of pages that I am linking to, since I am not able to survey the pages all the time.